Over the last two and a half years when writing this blog, we have been contacted by quite a few HR 29 owners or potential buyers from all over the Europe and also from US. 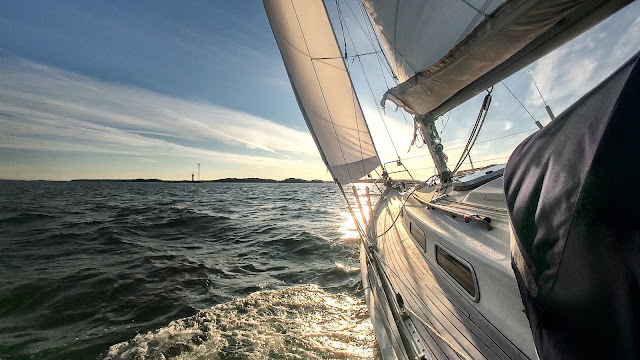 In one of these e-mail exchanges almost precisely one year ago, I was suggested to make a discussion forum, where HR 29 sailors could gather to share their sailing experiences and knowledge on technical issues, maintenance and refit and other various topics. I instantly thought that this was an excellent idea. However, I did not have any idea how to build such a forum and therefore, it took a full year to complete this project. The most difficult part was to find the time and energy to start working with the forum, since the actual process was easier than I thought and took only a few days, thanks to those many instructional Youtube videos, which made the job a lot easier. The forum was built with a free open source PhpBB software. My dream is that over time this would become an active forum where owners can find answers to their questions and technical issues but also share photos, videos, sailing stories and keep mini blogs etc. I would like to encourage everyone who is interested in these boats to register on the forum. It should only take you a couple of minutes. 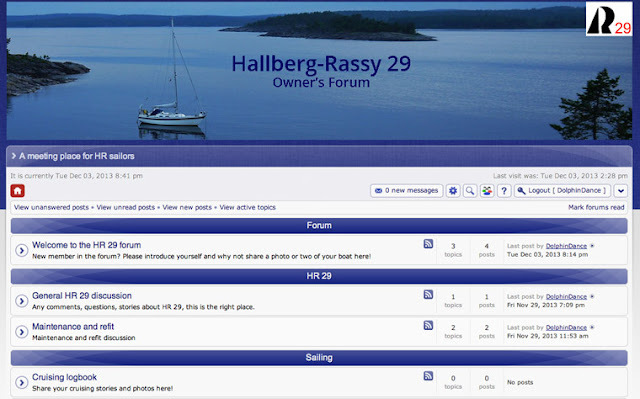 Photo of your boat can be uploaded under the category "Welcome to the HR 29 forum". See the instructions from the welcome message. Many Enderlein's HR designs are pretty similar structurally, so if there is HR 312, 352, 38 etc. sailors out there, feel free to join in if you like! Also if you are interested in buying an HR 29, you might find the forum helpful. Here is a link to the forum: HR 29 owner's forum. The forum can also be accessed via links on the upper and side bar of this blog. Thanks to you for a good idea :) See you in the forum! 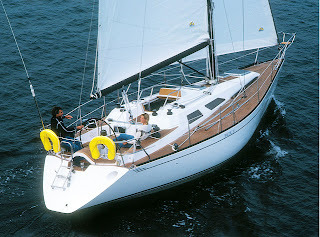 Hello, HR 29 is my dream sailboat and I"d like to buy one. I will be gratefull for any information. Hi Tone, nice to hear that. Please feel free to post your question on the forum http://hr29-forum.url.ph/index.php You have a better chance of getting different opinions on the boat, there are also a couple of boat owners from the Meds. Posting a question/comment requires registering on the forum, but it is very easy and takes only a couple of minutes. You are very welcome on board, see you there!